RDF students delight in sending greeting cards and flowers to mark the year’s many holidays, but they can’t always afford the items. 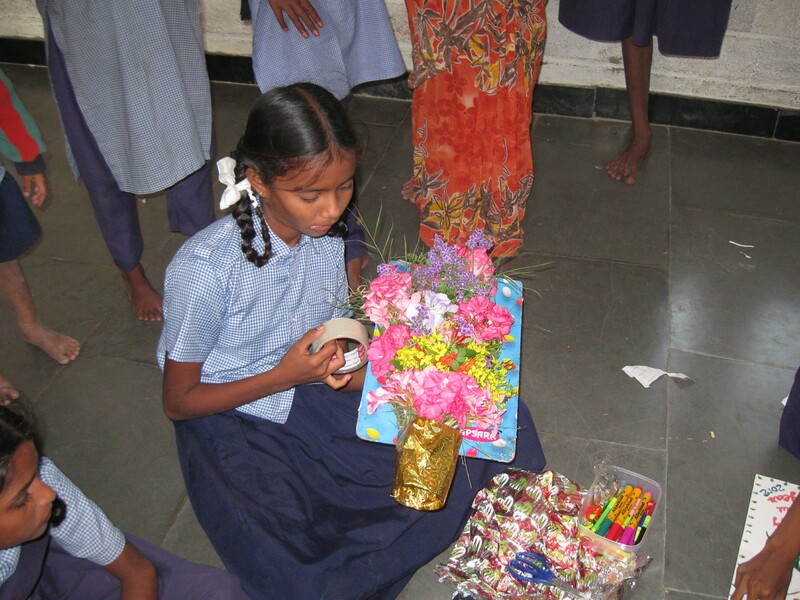 At Narsimpalli, teachers have taught students how to use recycled materials to create their own cards and bouquets, giving students a lesson in creativity, recycling and saving money. 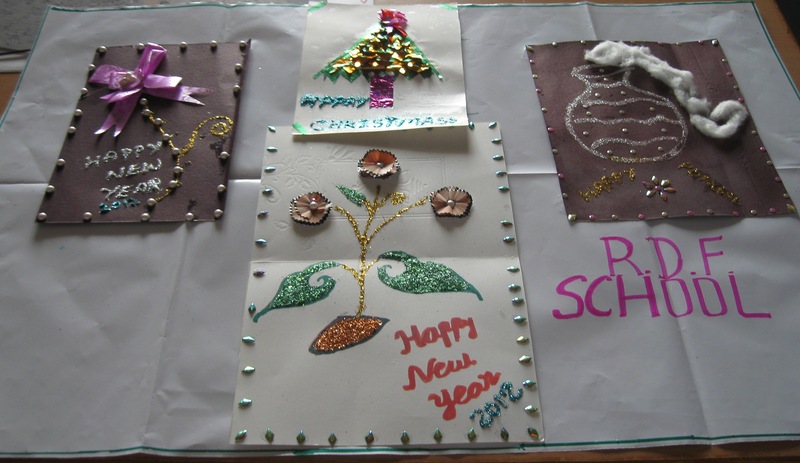 Students have used the lessons well, creating cards for Christmas, New Years and Pongal. 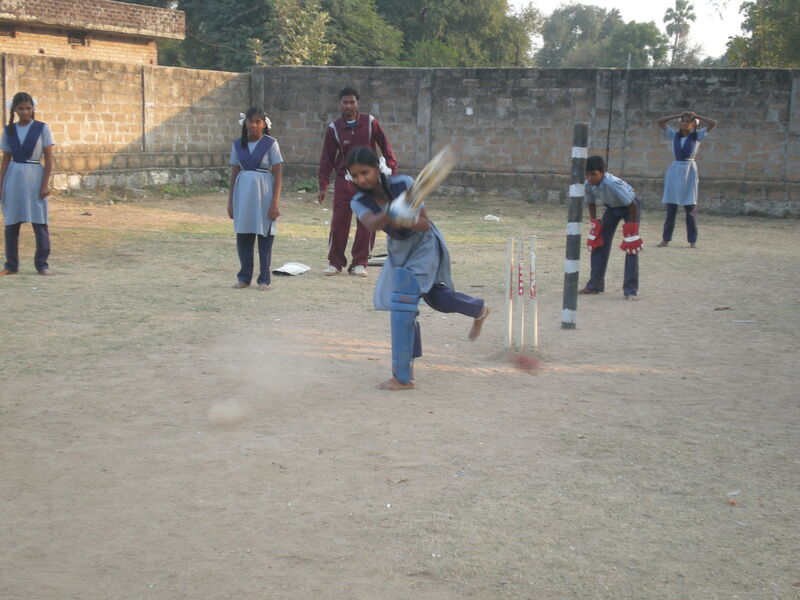 At Wadlakonda, teachers are encouraging girls to excel in athletics as well as academics. Especially in sports like cricket and volley ball, girls have been playing alongside boys. Every day, students practice after school under the coaching of Physical Education Teacher Mr. Prabhakar, who aims to send at least five students to state competitions. The students hope that being good enough to compete at the state level would help them later qualify for strong jobs in military, police or railway. 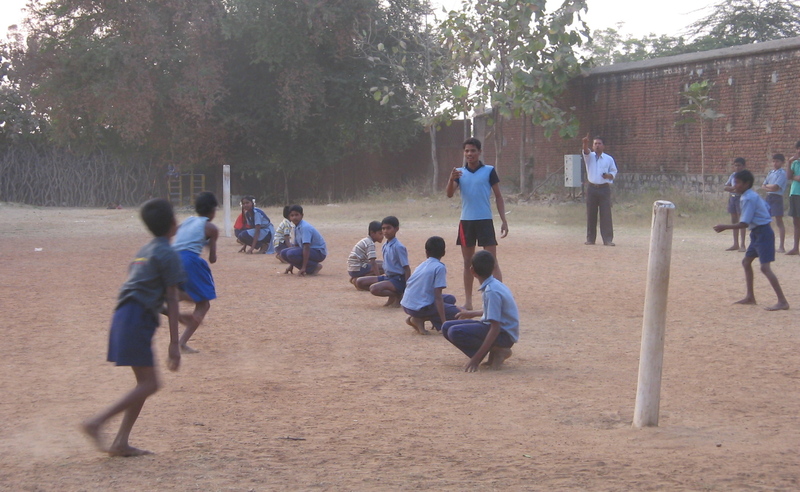 When he was a student at Andhra Pradesh Tribal Welfare School Dhammapet in Khammam district, Laxman played kho kho well enough to compete at the state level several times. 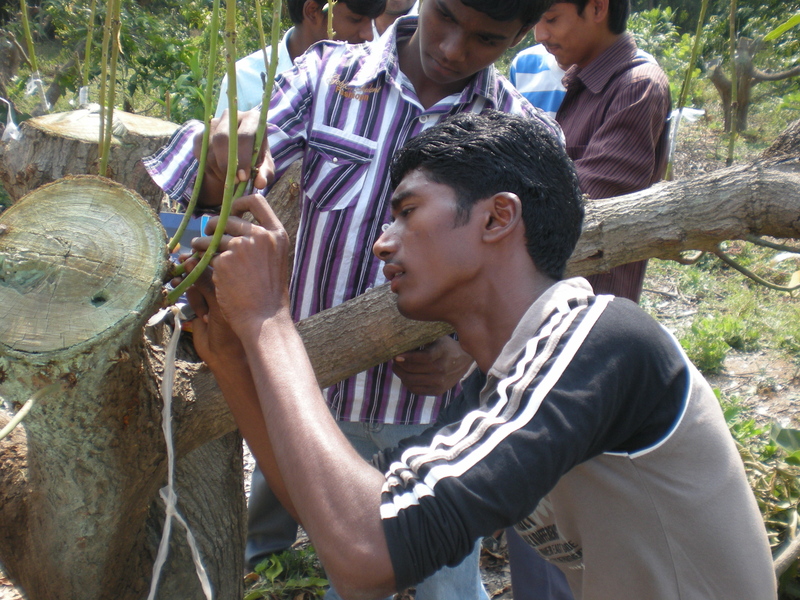 But Laxman, who is poor, left school after 9th class and instead trained to graft plants to earn income. Still, he visited Kalleda early each morning to watch the students play. One day, he met Physical Education Teacher B. Venkateshwarlu who offered to hire him part-time to teach the students kho kho. Laxman now works at Kalleda about 10 days a month. With Mr. Venkateshwarlu’s encouragement, he has also joined the Open School correspondence course to finish his 10th class studies with the hope of later joining RDF’s VAPV Junior College. Laxman proves it’s never too late to learn and follow your passions. 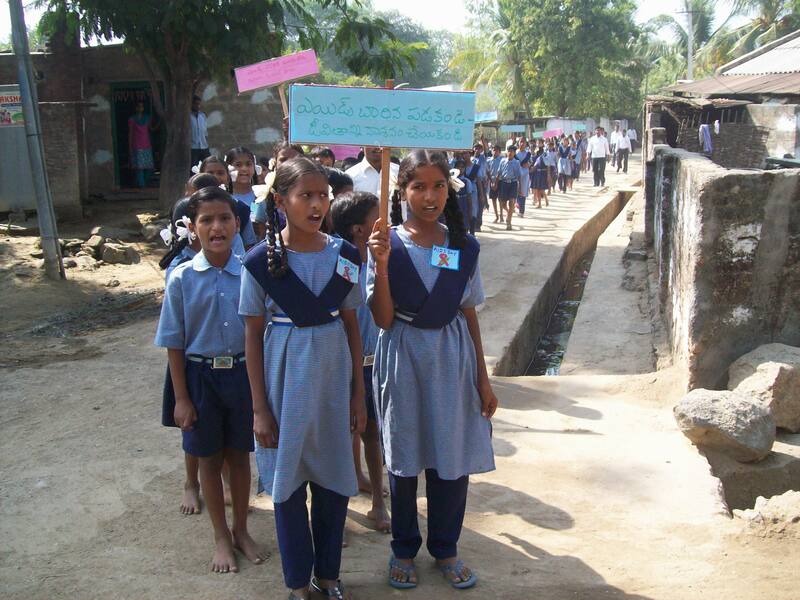 To mark World Aids Day, Redlawada students rallied to educate villagers about stigma around the disease. Thirty-four million people have HIV, the virus that causes AIDS, according to the World Health Organization. About 2.4 million people in India have HIV, according to the United Nations. Students created slogans and discussed social issues like voluntarily getting tested at a clinic before marriage, and not ostracizing AIDS patients. VAPV Junior College life science students recently took their lessons outside the classroom, visiting a board member’s garden to practice their grafting lessons. After reading about how to graft plants, students visited the garden for hands-on lessons. They cut off old shoots from the mango trees and grafted a new variety. Munigela Rajesh taught his mother Saroja how to write her name in Telugu. His drawings have competed in district level competitions. And he leads the class when the English teacher is absent. But what the talented 7th class Matendla student wants to do is be a scientist. He has a promising start. Using a small motor from an old tape recorder, Munigela made a sprinkler system. He attached a fan to the motor, which runs on a 1.5-volt battery. 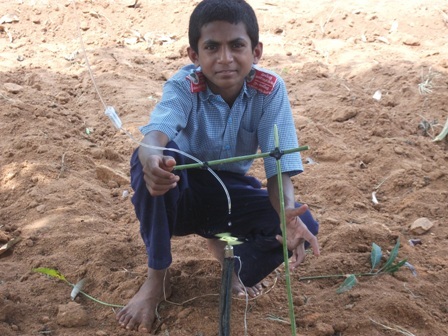 He installed a water pipe to his new contraption, and the fan now disperses the water, creating a sprinkler system.